The answer is remarkably simple, really – blame it on the archaic building and plumbing codes that governed commercial drain and shower specification standards in North America. Finally, in 2009 the powers that be joined forces to develop newly enhanced acceptance methods that allowed commercial interior designers to deviate from the traditional round-center drain and incorporate the use of the linear drain for custom shower design in the commercial sector. The result was a collective “Aha Moment” for the industry, and it wasn’t long before the residential sector caught on to the sweeping trend and ran with it. There’s a very long and important list of reasons for the incredible rapid growth of the product category throughout North America. 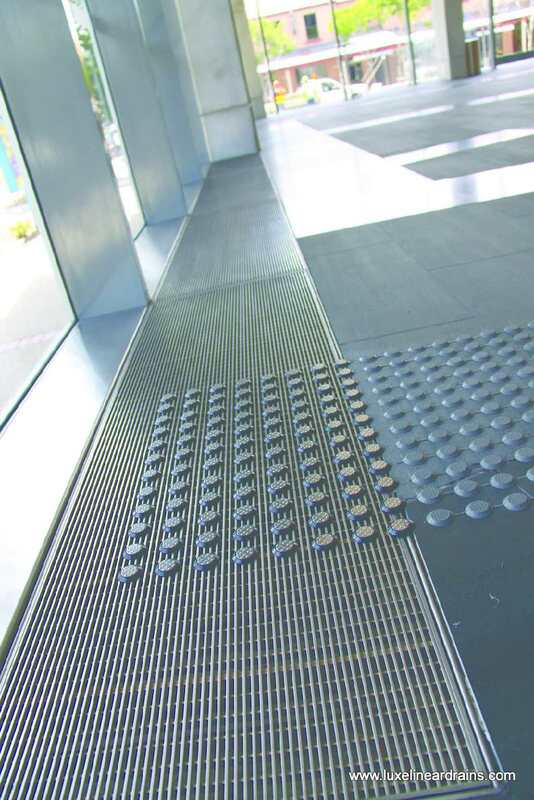 And while there’s no question that visual appeal continues to lead the way, designing with linear drains provides true value and benefits for everyone involved. 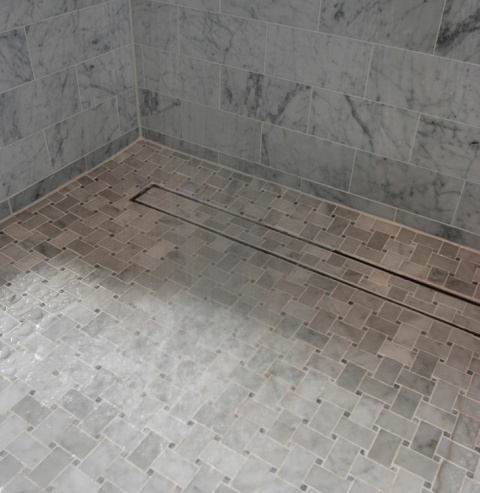 Linear drains can be placed anywhere in the shower floor layout, which provides great freedom for interior designers while eliminating the most tedious and time consuming part of building a shower. Instead of having to pitch the mortar bed in four different directions toward the round-center drain, the contractor or installer simply needs to gently pitch the mortar bed ¼” per foot (2%) in one direction toward the linear drain. 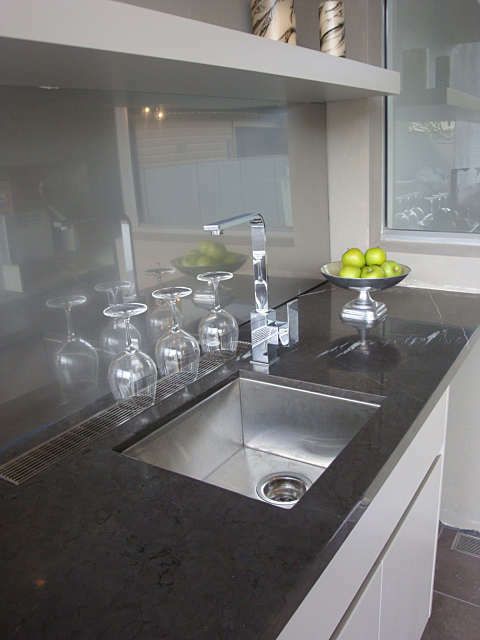 In addition to the speed and ease of installation, interior designers have found far more freedom using architectural-grade, 100% stainless steel linear shower drains from industry leaders such as LUXE Linear Drains. Most notably, the rise in popularity of the linear drain has coincided with the trend of designing with large-format tile, which also helps simplify and speed up the overall process of building an individual shower. 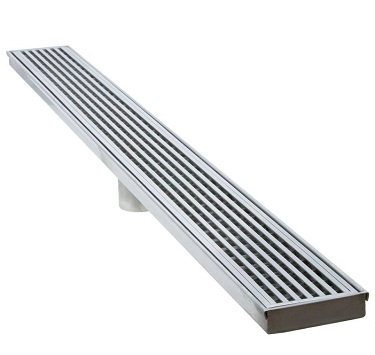 LUXE Linear Drains and other top drains are manufactured using architectural-grade, 100% stainless steel for modern barrier-free design, durability and performance. 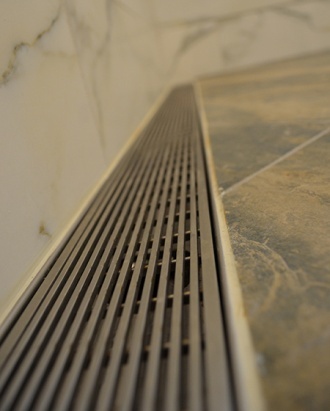 In addition, LUXE Linear Drains are universally designed with welded 2” and 3” central diameter outlets that simply replace the strainer and flange in any standard clamped-down shower floor. The ability to place the linear drain anywhere in the shower layout has also helped fuel the explosive growth of designing barrier-free, zero-threshold showers that are easy to access and use. 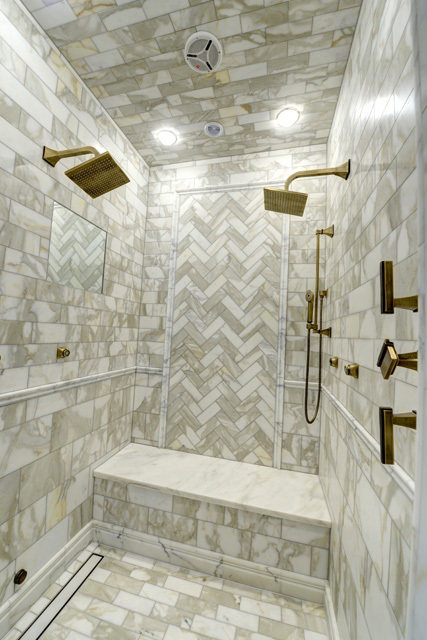 In private homes, creating curbless, barrier-free entry showers has played a huge role in modern senior living and all other aging-in-place environments. 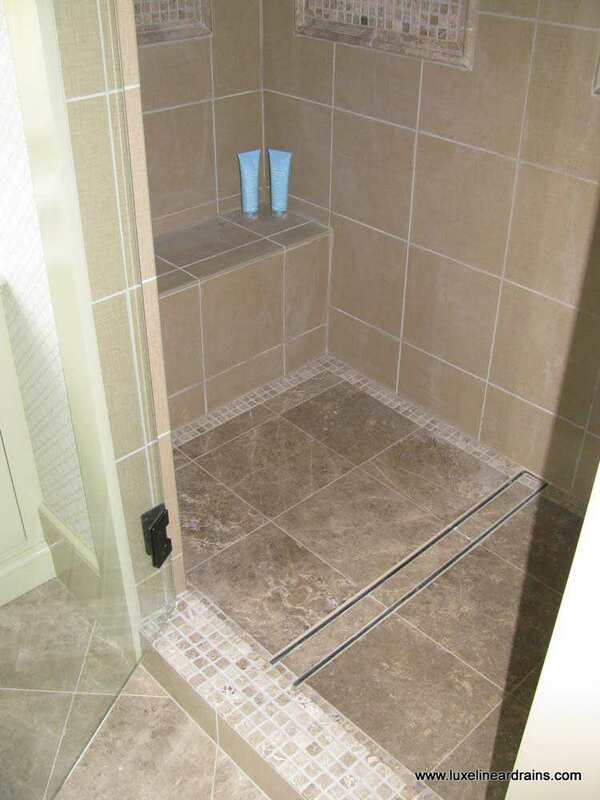 In addition to the safety and ease of use, barrier-free wheel in entry showers help provide independence and peace of mind for the growing number of seniors choosing to age at home and their families. Produced in decorative wedgewire grates and tile insert options in multiple standard sizes for any project, it’s clear to see how the introduction of the linear drain has absolutely revolutionized contemporary shower design. 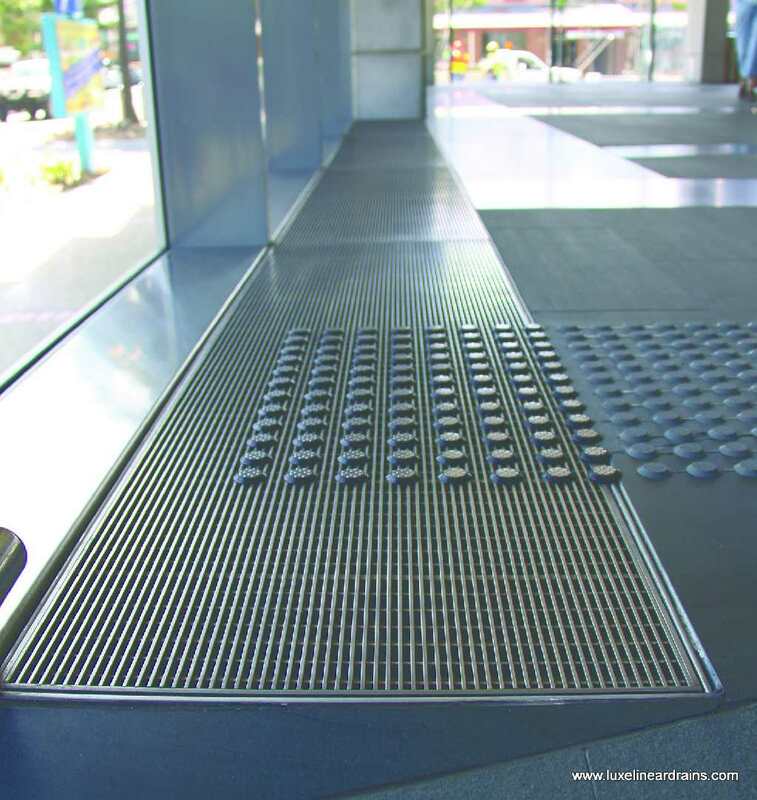 Perhaps most importantly, linear drains have proved equally as valuable in the design, installation and possibility of creating stylish, barrier-free entry ADA-compliant custom showers with style in large-scale, multi-shower projects included some of the world’s grandest hotels, boutique hotels, casino resorts, healthcare facilities, educational settings, stadiums, military and multi-housing living environments. In all four corners of America, as well as the most-prestigious flagship hospitality destinations around the world, the race is on to complete tub-to-shower conversions at alarming rates. Finally, single-slope modern design linear shower drains are replacing the old beige basins and dull standalone showers that for years limited designers, while costing developers, builders and contractors the time and money associated with tedious task of installing the old-fashioned, round-center drains.